Harumi Maekawa is the wife of the famous WWE star and current 2018 Royal Rumble champion Shinsuke Nakamura. Shinsuke popularly known as The King of Strong Style has won New Japan Pro-Wrestling title three times and IWGP Intercontinental Champion five times respectively. He was the youngest player to have won IWGP Heavyweight champion, winning the title at the age of 23. The Japanese Superstar was also inducted into the Wrestling Observer Newsletter Hall of Fame in 2015. While Shinsuke Nakamura is making the rounds as the wrestling champion, his wife Harumi, on the other hand, enjoys keeping a low profile and has always kept herself away from the media eye till date. There are so many interesting facts you should know about this power couple. Keeping reading to discover the 5 lesser known facts you need to know about them. Like they always say, every love story has a beginning and for these two they have been together through thick and thin. Isn’t that amazing? The two lovebirds met themselves while studying at The Aoyama Gakuin University in Shibuya, Tokyo, Japan. At the time, Shinsuke was a wrestling champion as well as the captain of the wrestling team of the school. The duo started dating around 2000. After their graduation, Shinsuke enrolled at the New Japan Pro Wrestling Dojo where he kicked off his professional career as a wrestler as well as a mixed martial artist. Nothing much is known about Harumi’s later endeavors as well as her career path. Despite Shinsuke’s tight schedule, ever supportive and caring Harumi has stood by his side even till this day. After several years of being together, Harumi Maekawa and Shinsuke Nakamura tied the knot on September 1, 2007. The couple got married in a lavish wedding attended by more than four hundred guests including notable Japanese professional wrestlers. They are one of the most respected Japanese celebrities and they have been married for over ten years. Harumi has been supportive of her husband’s career and always celebrates his successes with him. They have always kept their personal life away from the media and there is no sign of marital issues or divorce between them. Since there is no information available about their personal life, it will be hard to tell if they have kids or not. However, Shinsuke has appeared in some kiddies adverts including Pharrell Williams music video Happy. Without a doubt, the superstar avid kids lover. This is another glaring fact about Japanese celebrities, they are good at keeping their family especially their wives and children away from the media eye. Based on cultural influence, Shinsuke is always distinct and meticulous when it comes to handling fame and family. He has stayed in the United States for a long time and yet he still maintains Japanese norms and customs. The love between him and his wife has continued to blossom for so many years and yet there is no publicity whatsoever about their personal life. The couple isn’t the first celebrities to keep their marital affairs away from the media. Harumi is obviously living a lavish lifestyle as Shinsuke makes a substantial amount of money from his WWE career. Since there’s no much information on Shinsuke’s wife, it will be hard to tell what her net worth is. As for her husband, the WWE champion earns a huge amount of money from his wrestling career. Since the beginning of his career, he has continued to climb the ladder of success thereby carving a niche for himself in the world of professional wrestling. His net worth is said to be running in millions and some sources have estimated it to be around $3.6 million. He reportedly earns up to $400 thousand for every main event and also earns from his endorsements as well as adverts. Unlike some other foreign wrestlers who don’t move with their wife to the oversees, Shinsuke and Harumi’s case is different. After signing a deal with the World Wrestling Entertainment’s (WWE) brand NXT based in Winter Park, Florida; Shinsuke moved to the US along with his wife. They currently reside in Orlando, Florida where the NXT Performance Centre is located. Notable American wrestlers including Triple H, John Cena, and AJ Styles among others also stays in the same area. We wish the couple more beautiful moments as they continue to stay together in the United States. 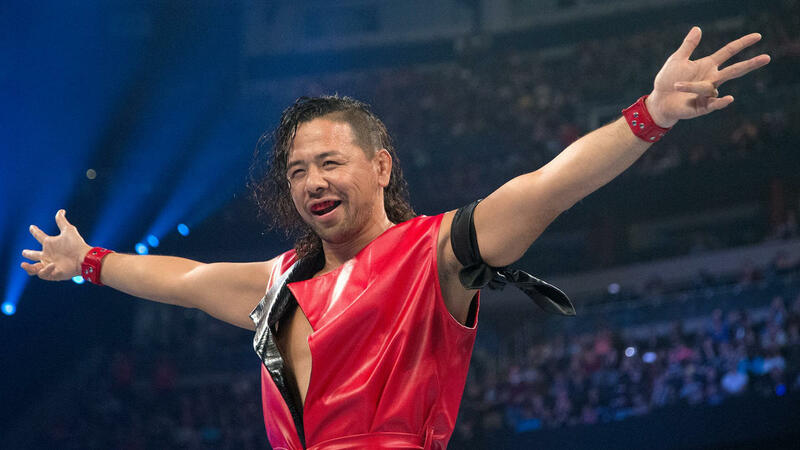 You can also connect with Shinsuke on Instagram @shinsukenakamura and Twitter @ShinsukeN.